A lot has been said about what you should be eating for breakfast if you wish to be healthy. But you should also know about things that constitute a bad and unhealthy breakfast. Surprisingly, most of modern urban India consumes many of these things regularly! 1. Packaged Juice: The advertisement claims it is a healthy breakfast accompaniment or even a replacement for breakfast, but it's not! It is certainly not fresh, is artificially sweetened, full of preservatives, and completely devoid of any fibre. At best, it is a stale concoction of artificial sugars. Need we say more? 2. Cereal-Outa-Box: The manufacturers would like you to believe that this is your ideal carb for breakfast, but not really! Packaged cereal provides no nutrition because it is not a wholesome combination of carbs, protein and vitamins. It is also laden with sugar, why else would anybody eat it? If you want to eat carbs for breakfast, whatever happened to the good old roti or idli? 3. Coffee: Many people need a kick in their mornings in order to survive the rush and hurry of their day's beginning. Many even ditch the breakfast completely, and just pile on coffee after coffee! How can a caffeine laden drink be healthy? Even if you have it in milk, it provides no real nutrition. Even if you skip the sugar, coffee still makes you anxious, nervous and jittery. Why don't you opt for a glass of milk, or have green tea as an accompaniment to your breakfast? 4. Energy Bars: Sold as a complete and healthy meal, energy bars are hardly that, They are full of sugar and preservatives, and don't even provide the fullness that a breakfast should. Poor choice! 5. Baked Goodies: Muffins, chocolate puddings, danish pastry, and other baked goodies do look yummy. But are they an ideal breakfast choice? Such Western food items harm your body because they are full of sugar, trans fats, and processed flour. There is no nurtition, but the dangers of high cholestrol and an increase in weight lurk in these baked goodies. If you want to maintain a trim figure, or wish to lose a few kilos, you are much better off sticking to traditional Indian breakfast items. 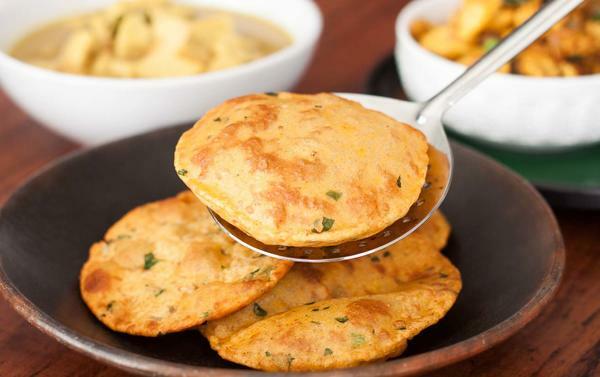 Go for non-fried parathas, idlis, oil-free dosas, utthapas, upma, poha, or even a plain roti with scrambled eggs. Our traditional breakfast is wholesome, fresh, and provides real nutrition without making you fat.